For a long time, pulper rags have gone primarily to landfill. In the past few years, however, their potential has been identified as a secondary raw material source. This waste from the paper industry largely consists of steel wire, which can be recovered and re-used if the right shredding technology is available. 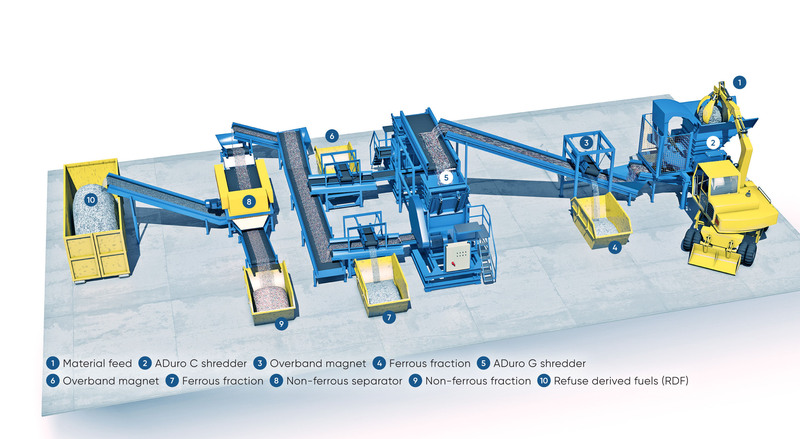 Depending on the requirements, ANDRITZ plants include several shredding stages in order to break down the stubborn rags properly. The robust machine technology with its very hard wearing cutting gear releases the metals (accounting for up to 40% of the content) completely. Impurities are separated into different fractions by subsequent separation processes. The calorific materials are further processed to provide substitute fuels. Two powerful shredders for tasks as demanding as the treatment of pulper rags, a two-stage process is recommended. 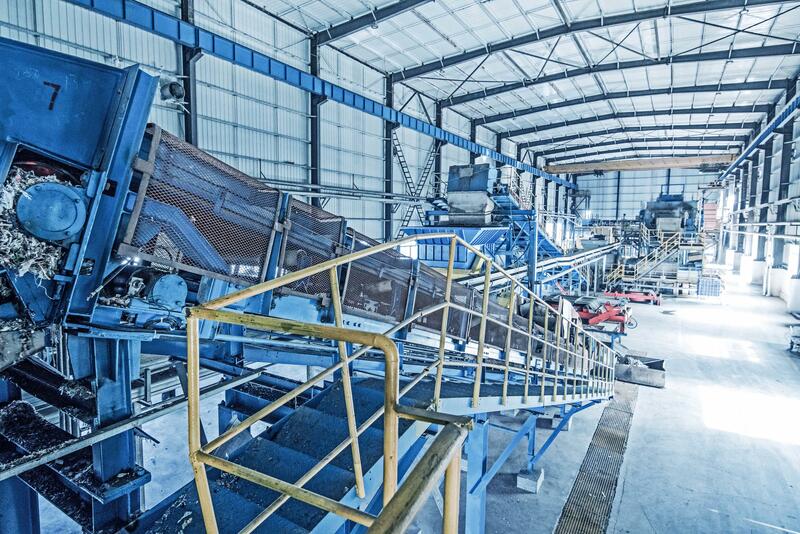 In the first part of the plant, the rags are fed to a coarse shredder. The slow-running, twin-shaft device is ideally suited for powerful and, at the same time, energy-saving pre-shredding of the stringy input material. It is largely insensitive to possible contaminants. The ANDRITZ Universal Rotary Shear UC allows very flexible operation for rags of all lengths and diameters at high throughput rates of up to 15 t/h. In order to avoid any quality issues in the substitute fuel fraction and other subsequent and more sophisticated separation technologies, manual sorting can be applied after the first stage in order to remove contaminants from the process at an early stage. For reliable post-shredding of the pre-shredded pulper rags, the ANDRITZ Universal Granulator UG is the best choice. The material fed to it is grabbed by the fast-running rotor and shredded in interaction with the fixed stator knives. For efficient removal of metal wires with high cleanliness in the metal fraction, it is important to cut the pre-shredded rags to a size of below 40 mm and to loosen up the material. This task is performed perfectly by the ANDRITZ granulator. Turning pulp and paper mill waste into valuable resources and energy.